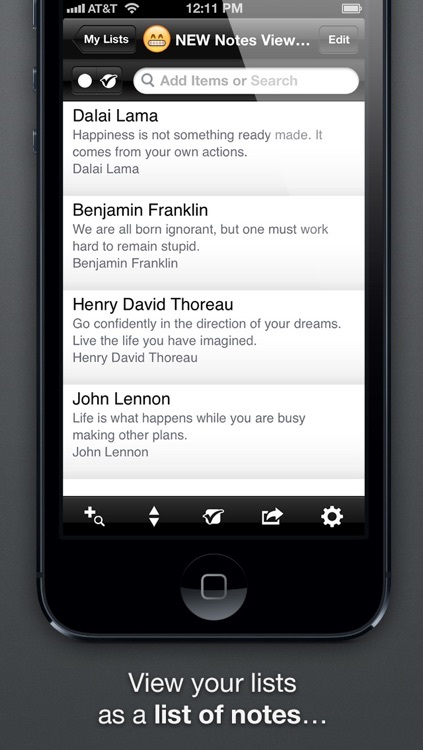 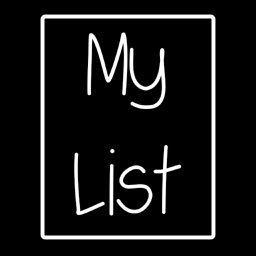 Make lists for anything you need from shopping lists to movies to ideas for your novel or notes for a class. 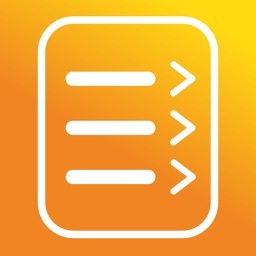 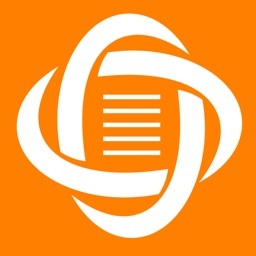 Add images to your list items with the Photo Checklists option or keep track of notes with the Notes View to help manage larger amounts of data. 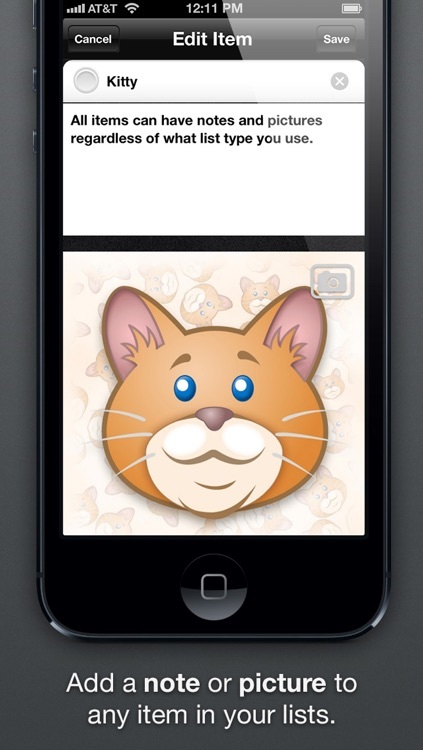 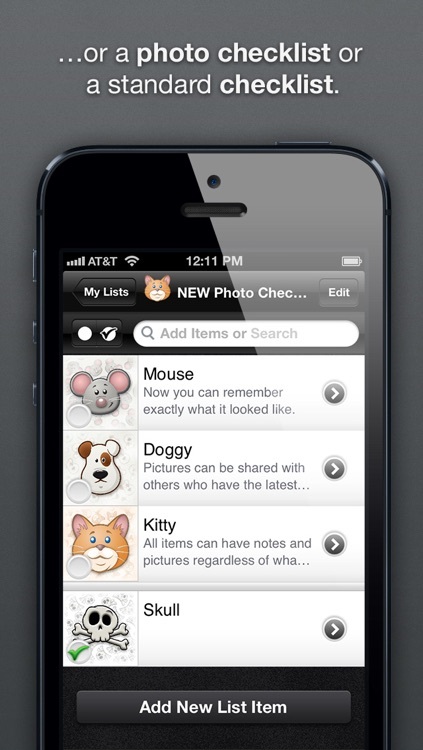 You can keep track of additional information by adding images to the details view of an item in ANY list type. 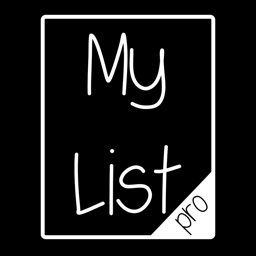 My Lists contains many great tools which allow you to share, sort, and reorder your lists and items the way that you need in order to effectively manage your daily life. 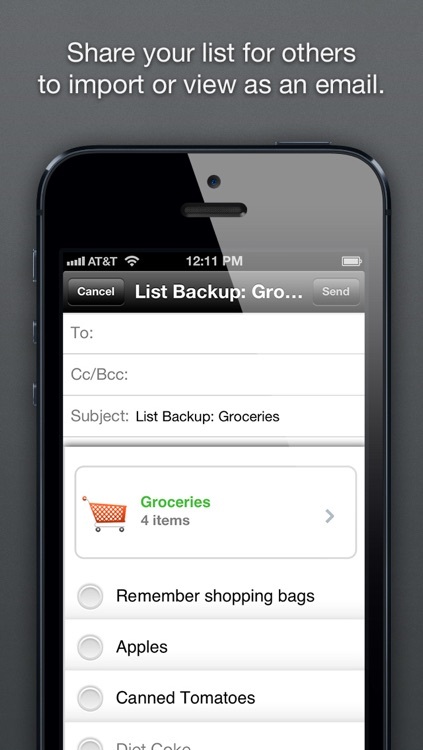 - Automatically group checked items. 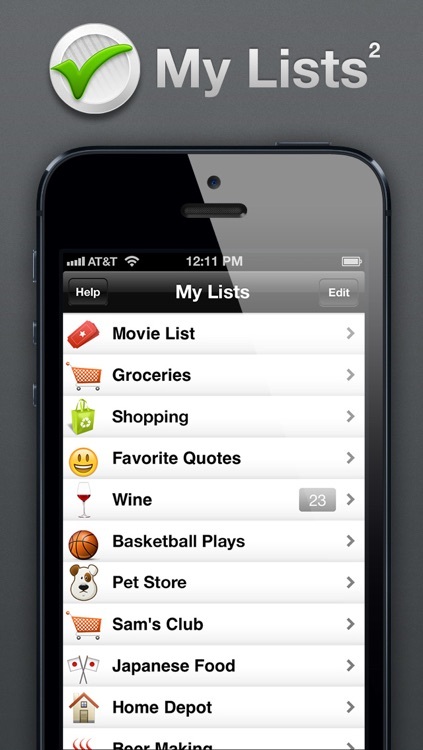 - Search functionality which searches both item titles and descriptions. 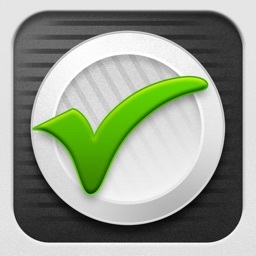 - Search based on status by searching for the terms "checked" and "unchecked"